The stories of sexual misconduct unfolding in the media are appalling and they have personally rocked me and everyone at Oxfam Ireland. The behaviour of some staff employed by Oxfam Great Britain in Haiti in 2011 and in Chad in 2006 was totally unacceptable, contrary to our values and the high standards we expect of our staff. We want to make it very clear - we completely condemn any form of abuse against the people we work to protect and support. We feel deep shame in the behaviour of those who failed to uphold our values, values I know that you, our supporters, share. I feel great responsibility in the trust that you place in us and I know that this awful situation may have damaged that. We promise to continue to be open and transparent and rebuild any trust lost. We are also absolutely committed to ensuring that we continue to learn and improve as an organisation. No staff employed by Oxfam Ireland were involved in these cases and they did not involve the misuse of public funds. All of the money you helped to raise for Haiti was spent as planned on the relief response to the 2010 earthquake. We have a zero-tolerance approach to sexual misconduct and will not stand for any kind of harassment of staff, partners, volunteers or those we serve. It is my priority to ensure that our staff, volunteers and the people we work for are safe and valued and we have several safeguarding policies in operation to prevent harassment and abuse, including a prevention of sexual exploitation and abuse policy. Staff and volunteers are encouraged to raise any concerns they may have without reprisal and we have a robust whistleblowing policy in place. I want to assure you that this incident does not represent Oxfam or what we stand for. The deplorable actions of a small number of people will not stop the vital work against poverty and injustice worldwide that you contribute to everyday. Together, I am confident that we will overcome this challenge and we remain grateful for your commitment to our work on behalf of the world’s poorest people. One year to the day after 800 people drowned off the Italian island Lampedusa, news of another awful tragedy in the Mediterranean has emerged. Reports of hundreds dead after four boats capsized underline how Europe is still failing to deal effectively with the migration crisis in a way that puts human lives first. 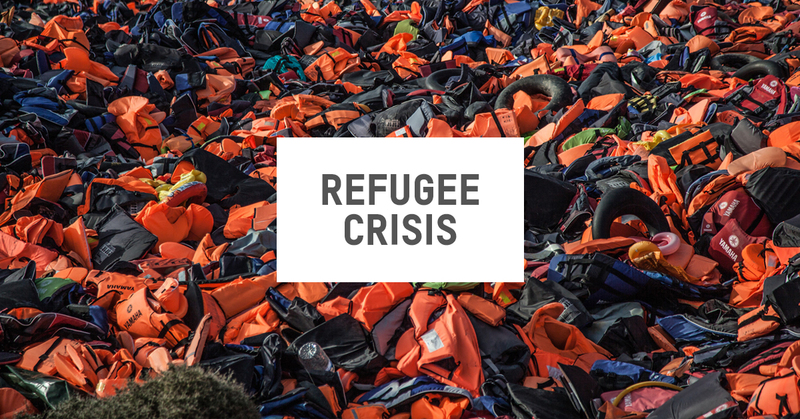 Today Oxfam published a new report ('EU hotspots spread fear and doubt’) which found that vulnerable people seeking safety and dignity remain at risk of death, torture and exploitation as they try to reach and cross the Mediterranean. The EU’s response to the Lampedusa drownings this day last year and the Mediterranean crisis as a whole has yielded successive emergency summits, beefing up Europe’s border security and bringing in a ‘hotspot’ plan for Italy and Greece where asylum claims are expedited with a focus on swift rejections. Three hotspots have been functioning in Sicily since September 2015, but the European and Italian authorities in charge of them have yet to agree a clear legal framework for how they are to operate. This leaves a serious gap in clarity on how this system is ensuring respect for Italian, European and international law. The Italian parliament was challenged on this – with no response forthcoming. Meanwhile, the system has failed to protect the numbers of people willing to go to extraordinary lengths to protect themselves and their families. Desperate and often already traumatised by what they are leaving behind, they face further anguish, fear and brutality on their journey to safety. According to the United Nations Support Mission in Libya, migrants detained in the country face torture, beatings and forced labour. Recently four migrants were shot dead and 20 wounded while trying to escape a detention centre. These are innocent civilians – mothers, grandparents and teenagers who simply want a better life, free from conflict and poverty. Filsim was finally released when her family managed to pay an US$800 (approx. €710/£560) ransom to the traffickers. She then had to pay US$1,000 (approx. €885/£700) for the trip to Italy. The crossing between Libya and Italy is the deadliest sea route in the world and the death toll for 2016 had before today already reached 219 people with nearly 10,000 people attempting to use this route to reach Europe in March alone. Total arrivals to Italy in the first quarter of 2016 are almost double the number of arrivals in the same period in 2015. This proves that the policies of deterrence adopted by the EU do not work. 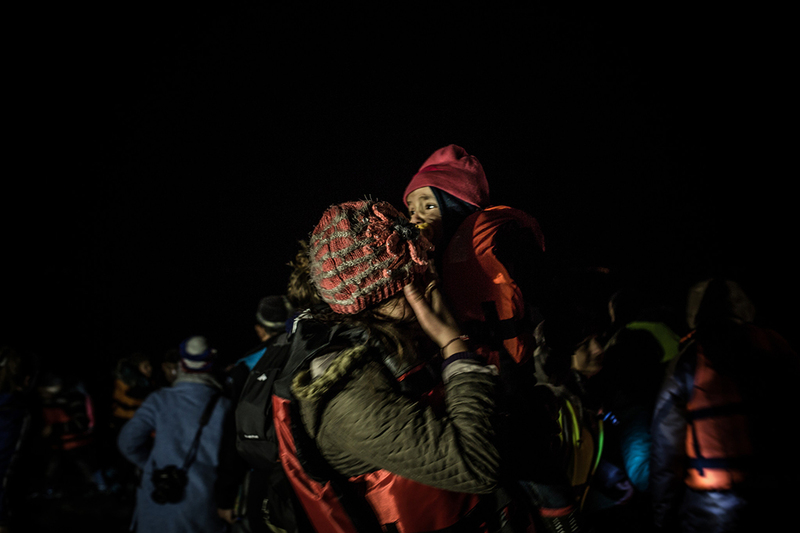 Many of those who survive the journey face a legal limbo once in Europe. The expedited approach of the hotspots is yielding faster decisions and more expulsions, but as a result many people are being shut out of the asylum system, left stranded and even more vulnerable. According to the European Union Agency for Fundamental Rights, fear often prevents migrants from seeking help and means that those responsible for exploiting migrants can act with impunity – with women left particularly vulnerable to abuse – while people who seek to assist undocumented migrants can face criminal charges. By failing to provide safe and legal passage, Europe has acted shamefully – putting political interests before human beings. Only by providing routes for people to reach Europe that are safe, legal and humane can we prevent further loss of life like today’s tragedy. The only two certainties we have are death and taxes, so the saying goes. The Panama Papers released this week by the ICIJ show the enormous lengths people will go to in order to evade or avoid paying taxes. But they don’t show the serious impact of such actions — which can literally mean death for some. A story which emerged from Cameroon last month illustrates this in the most tragic way. Monique Koumate (31) was expecting twins. Her partner took her to hospital when she went into labour and started experiencing complications. But because they didn’t have the money to pay the fees required, she was reportedly left outside the maternity unit in the city of Douala for hours, in desperate need of urgent care, the door closed to her. 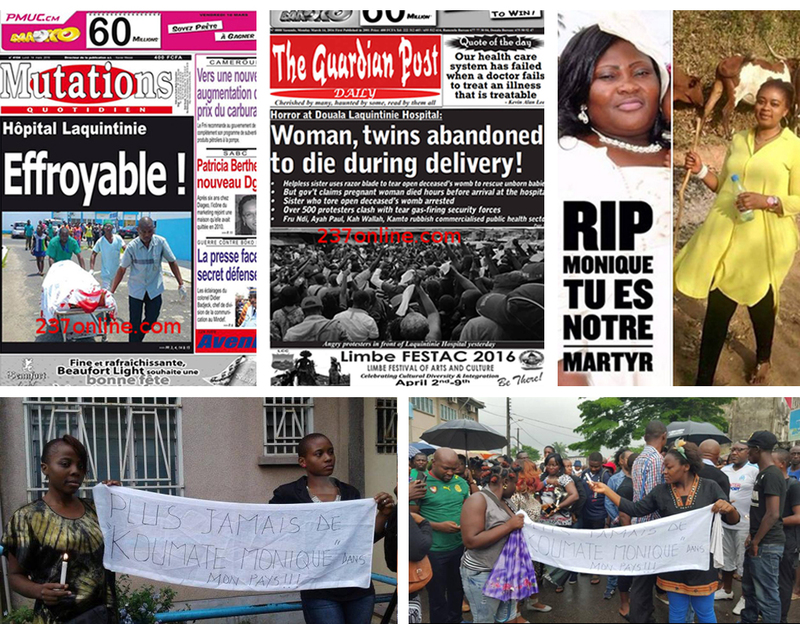 Top-left:Front page reports from Cameroon of Monique Koumate's tragic death. "Lanquinitinie Hospital: Horrifying! ", "Woman, twins abandoned to die during delivery". Top-right: People in Cameroon took to social media to pay their respects and express their horror at Monique's death. Botom: Protestors hold banners saying "Never again a Monique Koumate in my country!" Photo credits, clockwise from top: 237online.com, CulturEbene, Simonoteba.com, TheObserveres.France24.com, CameroonOnline.org, camer.be/obesso.net. Monique’s family did their best to help her — a graphic video shows a woman reported to be her niece trying to perform a caesarean section using a knife — but one twin was stillborn and the other died moments after birth. 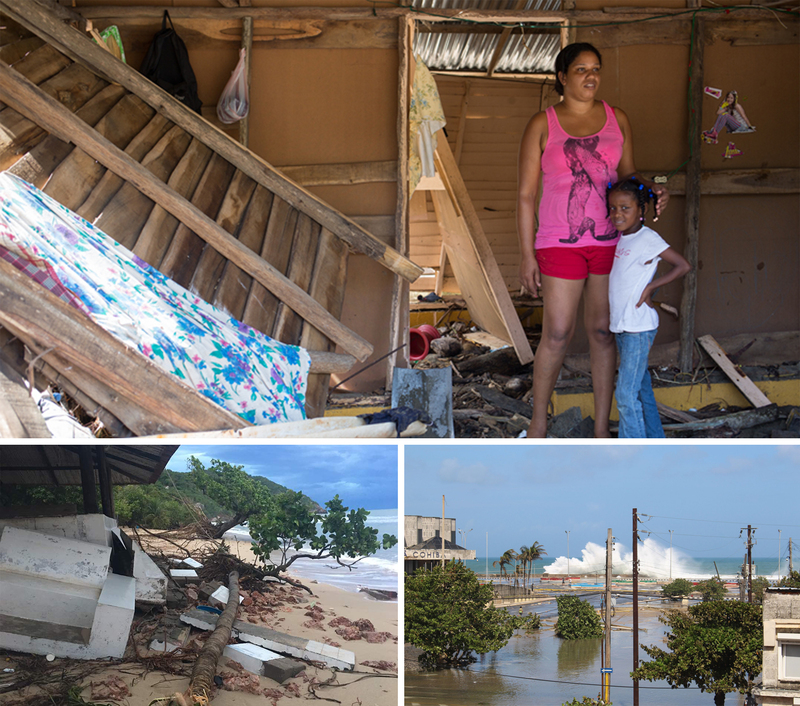 Monique also died on the steps of the maternity unit — three lives lost feet away from the medical attention they needed but could not afford. Cameroon has a severe shortage of doctors, just one for every 5,000 people. The government introduced a fee-based system for healthcare in a bid to bridge a funding gap and make services more widely available. 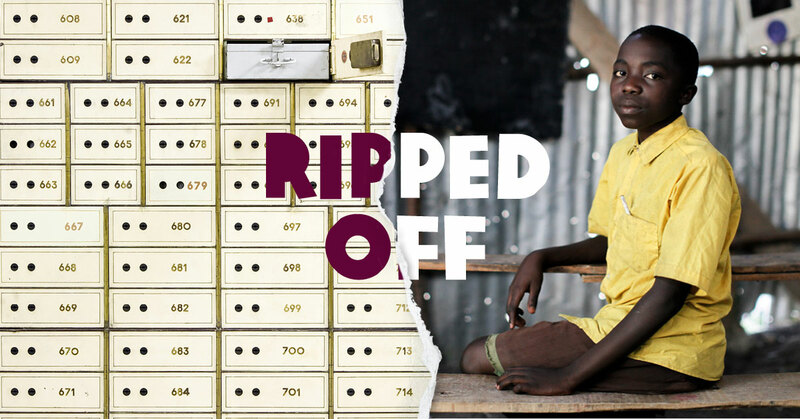 Illicit financial flows out of Cameroon are 63% of the country’s health budget and the equivalent of its entire foreign direct investment and aid each year. MANIFESTATION DEVANT L'HOPITAL LAQUINTINIESE TAIRE, NE RIEN FAIRE, ETRE NEUTRE EST PIRE QUE CRIMINEL!RAPPEL DES FAITS:Une femme qui décède devant un hôpital faute de moyen. Arrivée à l’hôpital les médecins refusent de la prendre en charge parce qu'elle n'a pas d'argent.. Chose surprenante ce sont ses soeur qui ouvrent son ventre avec une lame rasoir pour essayer de sauver les bébés. Quel images pour le Cameroun .Les bébés sont-ils vivant ? ......Malheureusement aux dernières nouvelles ils ont aussi perdus la vie grâce à ceux qui ont prêter serment de sauver des vies humaines. .Que c'est pathétique pour les hôpitaux du CamerounQuel sadisme et méchanceté au point de laissé mourir 02 bébés innocent. ..Une plainte doit être déposer contre cette instance criminelle sur cet acte de non assistance à personnes en danger et de plus pire encore des bébés. ..Que la communauté internationale sur le programme de la santé saisisse cet affaire qui ne doit rester sans suite afin que justice soit faite pour ces bébés innocent. ..ceci pour en sauver d'autres qui peuvent subir le même sortMAINTENANT PLACE A LA MANIPULATION :Faites Attention! Les agents de manipulation de l’opinion nationale et internationale sont deja en marche. Une premiere tentative de manipulation qu’ils essayent de faire passer est de dire que Monique et ses bebe étaient deja décédés avant d’arriver a Laquintinie (Dites meme qu’ils sont morts 4 jours avant). Une autre tentative de manipulation veut faire croire q l’opinion que la courageuse soeur de monique serait l principale responsable du drame ceci juste pour dédouaner les médecins et infirmiers principaux responsables de ce drame. 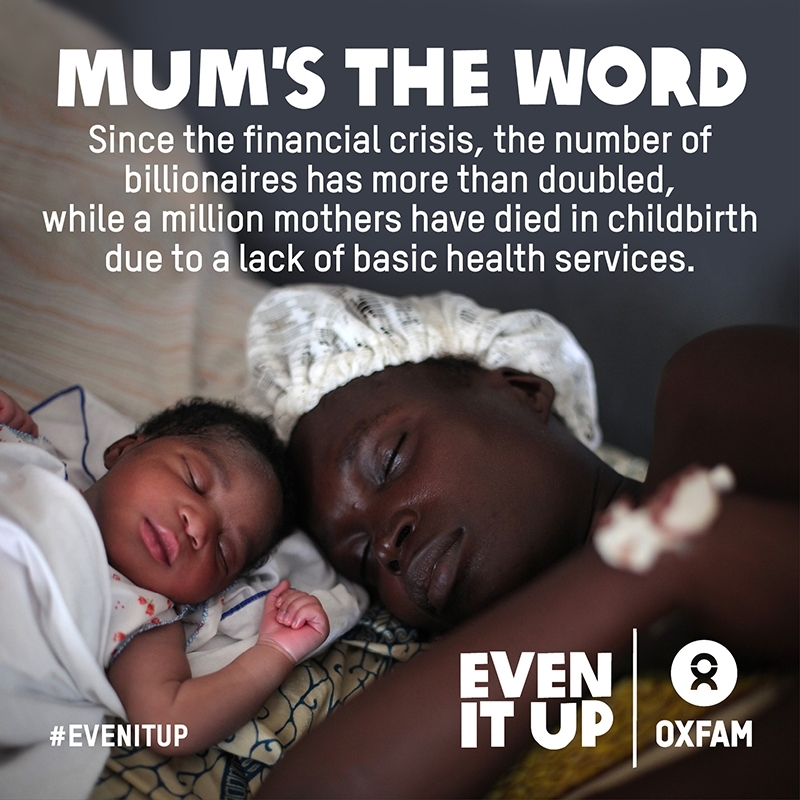 Every single year, poor countries lose around €150bn/£119bn due to tax dodging by wealthy individuals and companies. This is money that should be used to fund schools, hospitals, homes and infrastructure. It’s part of the bigger and growing problem of economic inequality. 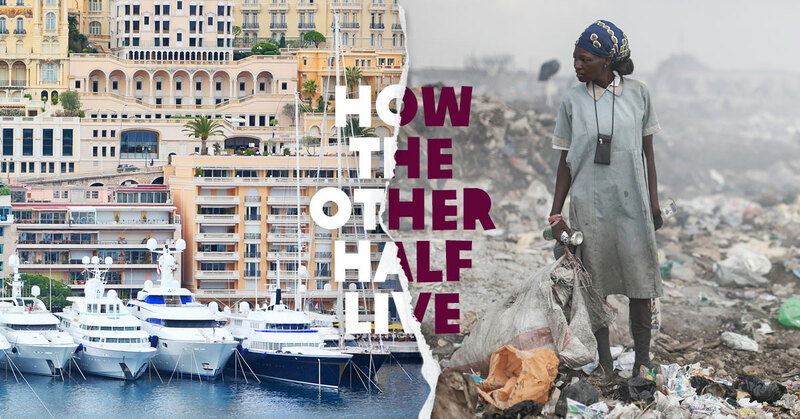 An Oxfam report published in January showed that just 62 people own as much net wealth as the poorer half the world’s population — approximately €1.62tn/£1.25tn. Think about that for a moment: the number of people who could probably comfortably fit inside your local pub, own as much as 3.6bn people do. Our economic system is skewed in favour of the wealthiest. Far from trickling down, income and wealth are instead being sucked upwards at an alarming rate. One of the trends underlying this concentration of wealth and income is the return to capital versus labour. In almost all rich countries and in most developing countries, the share of national income going to workers has been falling. This means workers are capturing less and less of the gains from growth. In contrast, the owners of capital have seen it consistently grow (through interest payments, dividends, or retained profits) faster than the rate the economy has been growing. Tax avoidance by the owners of capital, and governments reducing taxes on capital gains, have further added to these returns. Thanks to the recent revelations and previous investigations such as Lux Leaks, public awareness — and frustration — has increased dramatically. 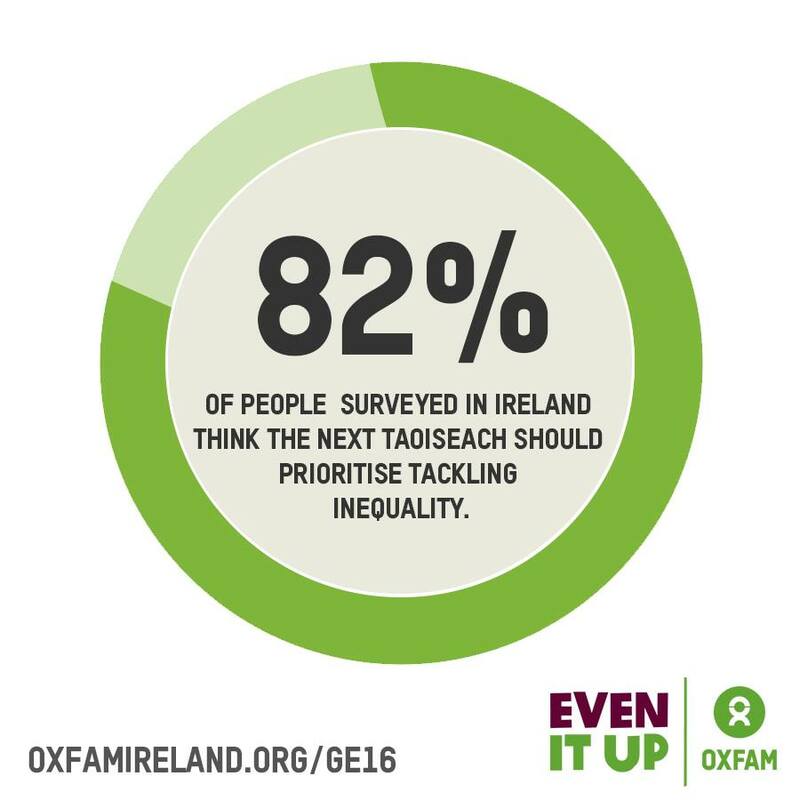 Ahead of the Irish general election in March, an Oxfam Ireland survey conducted nationwide found that 82% of people agreed that measures to specifically address tax-dodging needed to be a priority for the incoming government and Taoiseach. The survey also showed growing concern in relation to large-scale tax dodging with 86% of Irish people holding the belief that big companies and wealthy individuals are using tax loopholes to dodge paying their fair share. 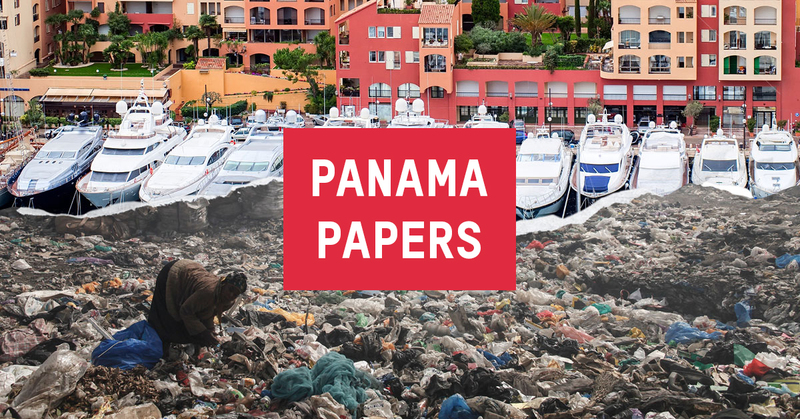 All governments, rich and poor, have to work together to tackle the inequality so clearly illustrated by the Panama Papers because it is their citizens who are the biggest losers. They need to fix the system and penalise banks and any others who facilitate tax-dodging. Real transparency is needed — establishing public registers of the beneficial owners of all companies, foundations and trusts (so governments know who really owns and benefits from them and can tax them accordingly). Country-by-country reporting, as it is called in tax jargon, would require multinational companies to publish this information. Some countries, including Ireland, say they’ll implement it, but the information won’t be made public. This is a crucial flaw — because if the information remains confidential between tax authorities, the public and civil society won’t be able to hold multinationals to account for their tax practices — and developing countries won’t be able to scrutinise the global tax arrangements of multinationals in their territory. As political leaders in Ireland continue to engage in discussions on government formation, the measures Ireland can take to assist in the reform of the global tax system should be part of the agreement of any progressive Programme for Government. The human cost of doing anything else is simply too high. Jim Clarken is Chief Executive of Oxfam Ireland. This article was first published by The Irish Examiner.